Relaxation is key to a long and happy life. 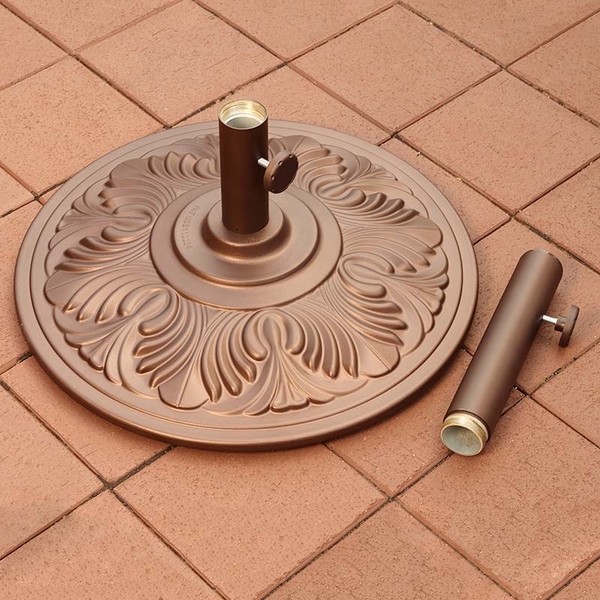 Start by using your own backyard for all the "R&R" you need, with the Blue Wave Umbrella Base. 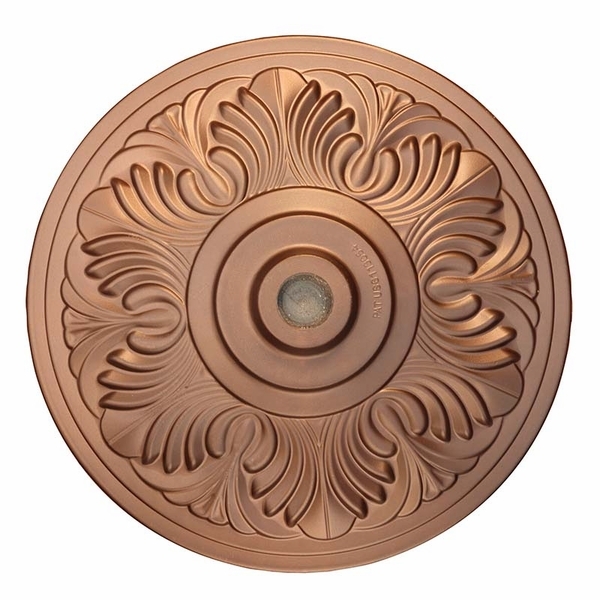 It features a 50-pound art deco cast aluminum umbrella base comes in a beautiful bronze finish to complement any outdoor decor. 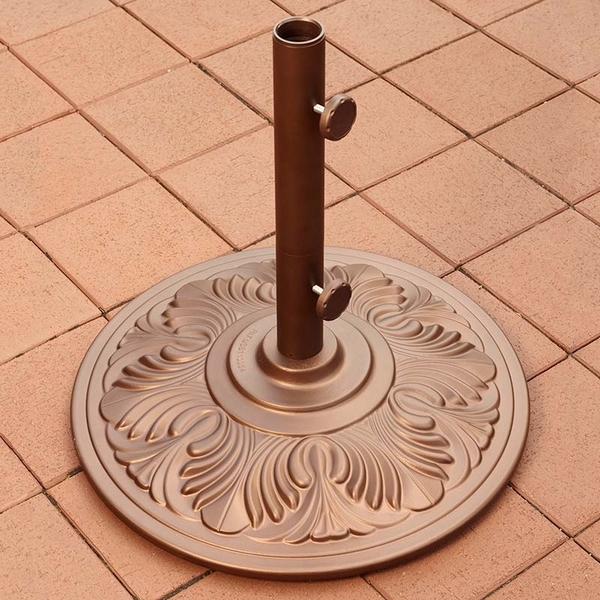 The heavy duty cast iron base with aluminum shell includes a dual-purpose stem which allows you to use the base with a free standing shade umbrella or use under a table. 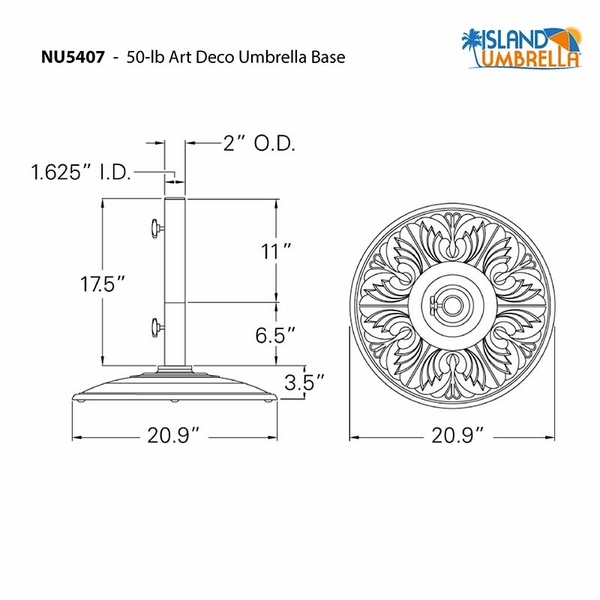 The 50-pound base measures 20.9-inch in diameter and has a rust-free aluminum shell with case iron base perfect for patio tables or free standing umbrellas.